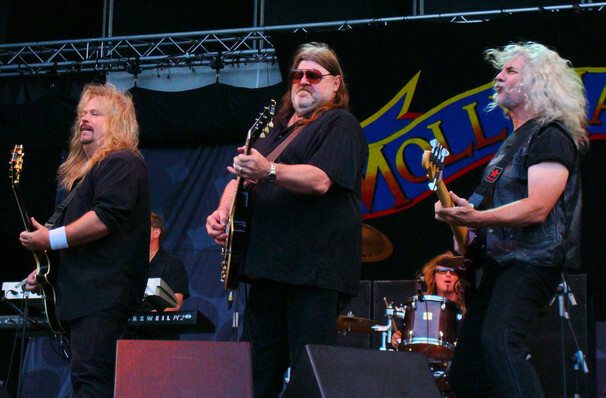 Founded in 1971, Molly Hatchet has been spreading their deep fried Southern rock and roll nigh on 50 years and they show no signs of slowing down! The swamp rocking outfit secured their place in classic rock history with their platinum-selling debut album, adapting with an evolving line-up over the years around founder and guitarist Dave Hlubeck. Living long and prospering in the realms of flaming lick-laden anthems and gothic, weapon-wielding warrior album cover art, Molly Hatchet have an astounding 14 studio albums under their studded belts. When it comes to their live shows, the band's turbo-charged fretwork shines in extended jams, conjuring the golden era of guitar boogie with each performance. Sound good to you? 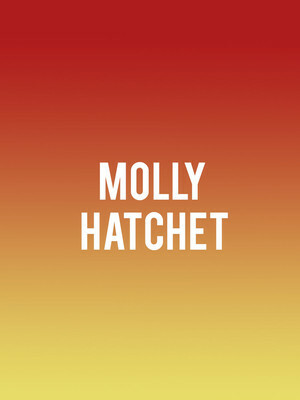 Share this page on social media and let your friends know about Molly Hatchet at Arcada Theater. Please note: The term Arcada Theater and/or Molly Hatchet as well as all associated graphics, logos, and/or other trademarks, tradenames or copyrights are the property of the Arcada Theater and/or Molly Hatchet and are used herein for factual descriptive purposes only. We are in no way associated with or authorized by the Arcada Theater and/or Molly Hatchet and neither that entity nor any of its affiliates have licensed or endorsed us to sell tickets, goods and or services in conjunction with their events.